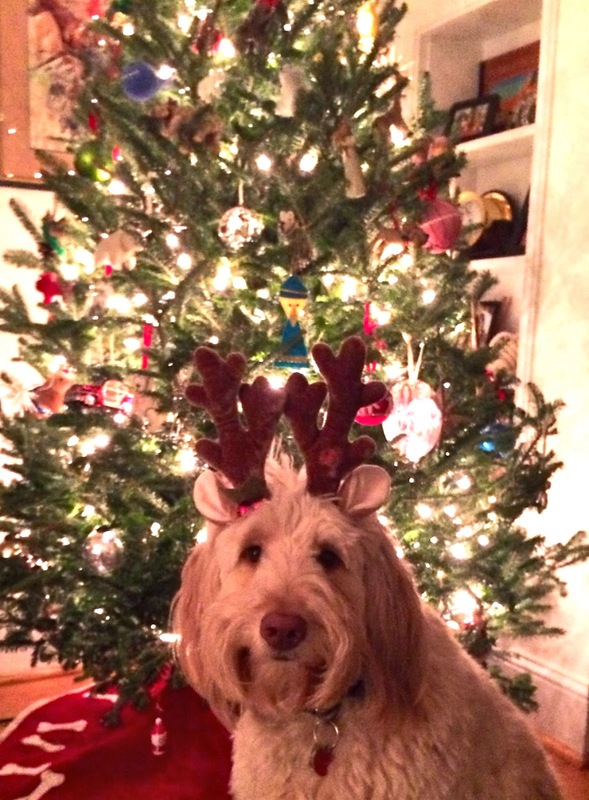 When you are running around doing your holiday shopping don’t forget about picking up a treat for your dog or cat. There are so many products out there to choose from it can be completely overwhelming so let this serve as your furry friend’s holiday gift guide. First off, reconsider that fancy, super yummy looking, giant bone or food type treat that he has never had before and wolfs down in no time at all. This is a sure fire way to cause an upset stomach and result in a trip to the emergency room with your dog having crazy diarrhea. I have had so many clients with the very best of intentions unintentionally make their pets sick by trying to spoil them with special treats. If you can’t resist that amazing 3-foot long, peanut butter stuffed, bacon wrapped rawhide bone then try to limit chewing time to minimize how much he ingests at once. Regardless of the time of year, you should know what type of chewer your dog is. Does he nibble daintily at things or does he rip off huge pieces and swallow them as quickly as possible? If it the latter then he should NEVER be given a rawhide and watched very closely with any other type of toy to prevent gastrointestinal obstruction. Starmark Treat Dispensing Chew Ball – I like this because it has little nubs at each opening that you can trim if you find that your dog is having a too hard of a time getting the treats out. They can push it around with their nose or learn to bounce it so the treat fly out. 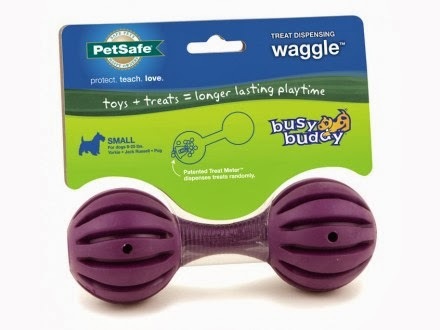 Busy Buddy Waggle – This is similar to the Chew Ball and again I like that you can trim the flaps so your dog doesn’t get frustrated when playing. 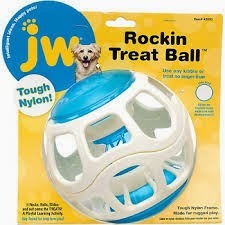 JW Rockin Treat Ball – This is great to feed kibble out of so that each meal is interesting for your dog. 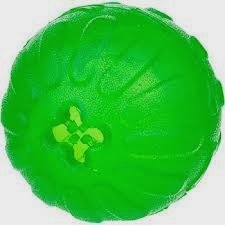 Funkitty Egg-cercizer – This is by far the best treat ball I have found for cats. All of the other ones I tried were completely ignored and rejected by my kitties. 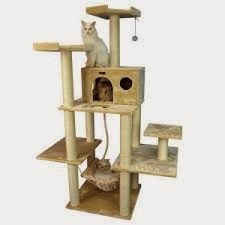 Kitty tree and scratching post – All homes with cats should have one of these. 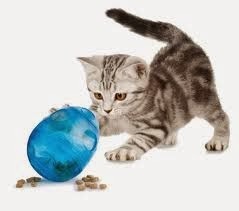 It gives your cat vertical surfaces to explore and an appropriate place to exercise their natural desire to scratch. The one pictured is exceptionally elaborate and I’m sure very expensive but you can find all different types at varying price points. I hope this helps you navigate the many choices when it comes to picking the right toy for your cat or dog!